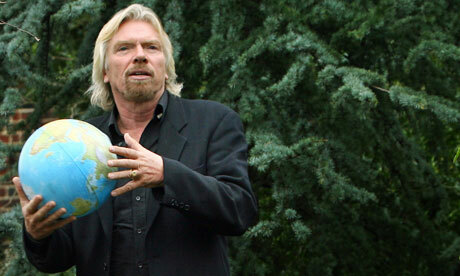 Why can't all business leaders be like Sir Richard Branson? A free internet database set up by Richard Branson will today list the energy efficiency of almost every ocean-going vessel, in a scheme designed to reduce shipping emissions by nearly 25%. Using publicly available data on the engine size and CO2 emissions of nearly 60,000 ships, exporters and importers, as well as holidaymakers on cruises, will be able to choose between clean and dirty ships. The initiative, called Shippingefficiency.org, rates ships from A-G in a similar fashion to ratings given to fridges or washing machines. It will allow supermarkets, oil and mining companies, food importers, retailers and manufacturers to specify that their goods are sent from places like China or Australia only by the least polluting ships.